A new international series for classic race bikes of the 1970s and 1980s has been launched. 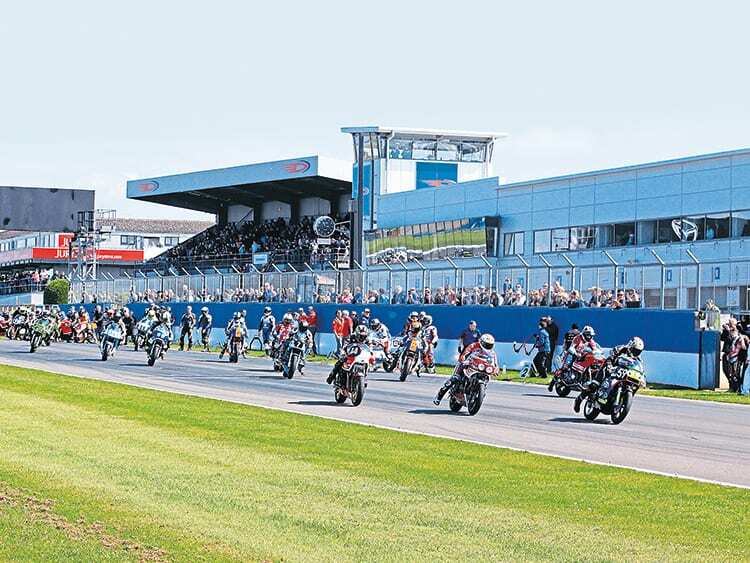 It will bring together three of the most popular four hour races across Europe and provide race classes that will stage a spectacular recreation of the glory days of endurance racing. The series kicks off on March 24-25 at the Sunday Ride Classic at Le Castellet (Circuit Paul Ricard), France. This is followed on May 12-13 by Endurance Legends 4 Hour at Donington Park, on June 7-8 by German Speedweek at Oschersleben, while a fourth race later in the season is under discussion. Regulations for four classes of machine have been agreed to reflect the machines currently being raced in classic endurance, and spanning a decade that saw advances starting with Ducati’s bevel-drive twins and ending with Suzuki’s first GSX-R750s. The classes are: 1968 to 1981, air-cooled four-stroke, air or water-cooled two-strokes, four-valve engines to 1000cc, two-valve engines to 1300cc – original or modified original frames. 1976 to 1984 air-cooled four-stroke, air or water-cooled two-strokes, 1300cc maximum displacement – original, modified original or aftermarket frames. This class is expected to feature big four-cylinder motors. 1973 to 1986 four-cylinder 750cc or twin-cylinder 1000cc machines with air or water-cooling and original frames; no engine tuning is allowed. And 1976 to 1986, up to 1300cc displacement with air, water or oil-cooling – original, modified original or aftermarket frames. This class will feature full-on race bikes from the mid-eighties. In addition to the EELC Team Leaderboard, a new EELC Rider Leaderboard will give Pro and Am riders the chance to compete alongside each other even if they ride in the same team.